It’s hard to believe that two weeks have passed since we were at camp. 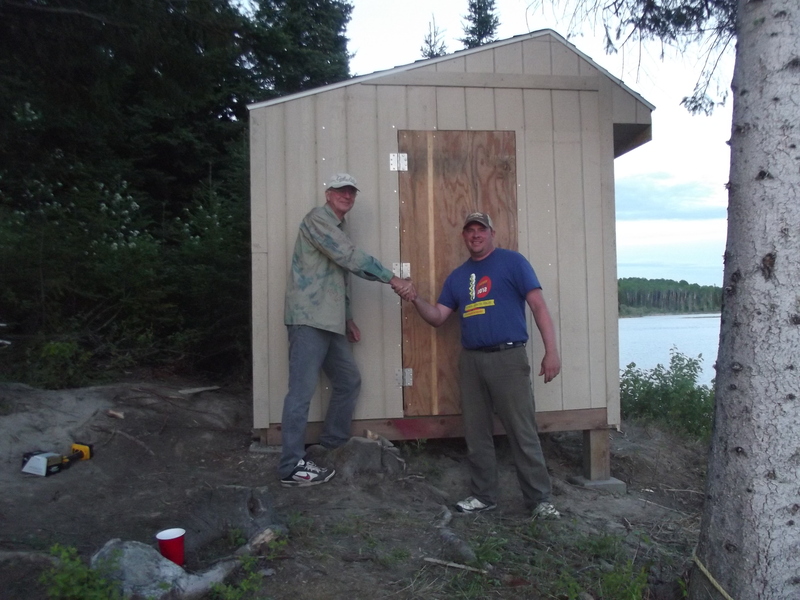 We all had a great time working on the camp, and still had time to go out and catch limits of walleyes on several days. The fishing was outstanding!! We also had time to eat well, and as my cousin Eric would say, “laugh like only you can at Em-Kay”…. 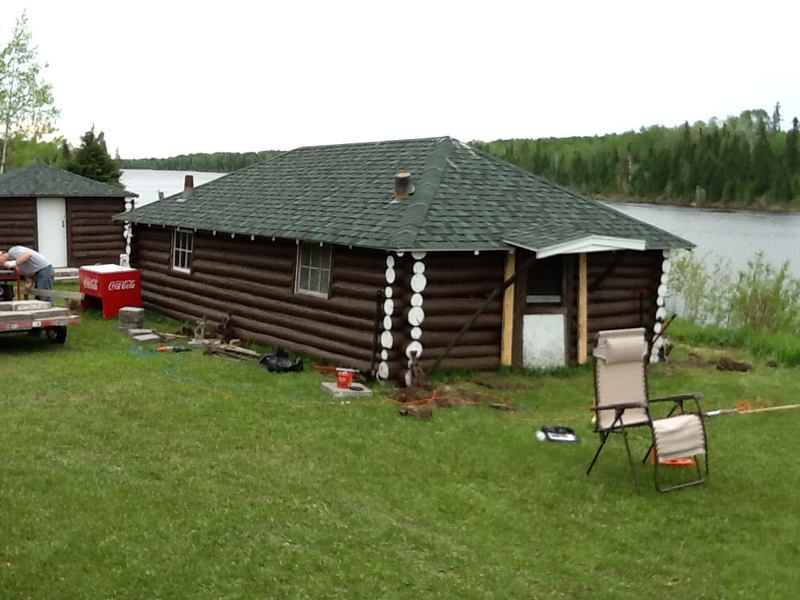 Some of the things we got accomplished this week were: building a new deck, lifting cabin 3-4, put a new floor in cabin 3-4, installed pex piping throughout the lodge, installed a new shower, and added an RV pump to our water system. Now we can take real showers instead of a “drip”. 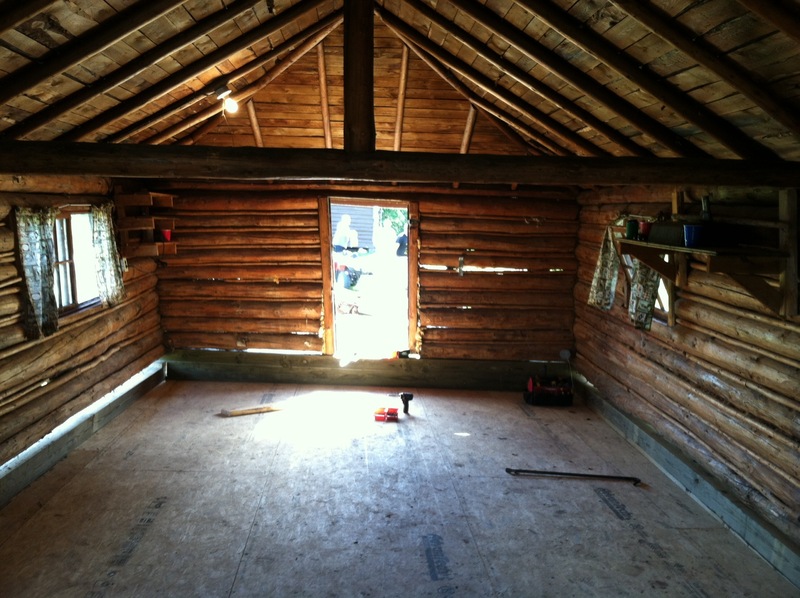 We reassembled an old chicken coop that will be our new boat house. We affectionately call it “Ray’s Coop”. 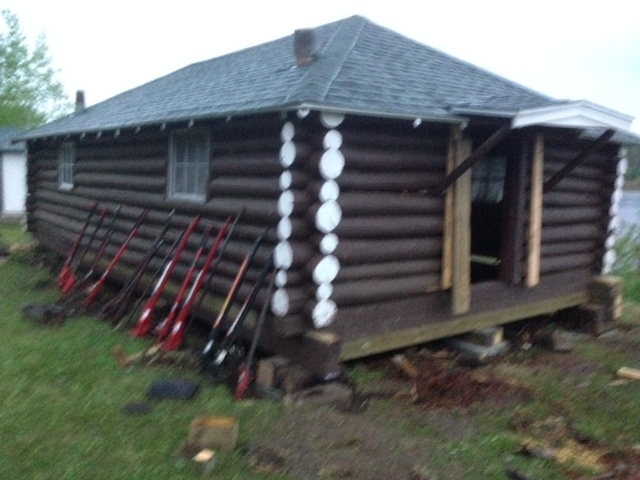 We also had to repair the dock which didn’t hold up to the brutal winter. 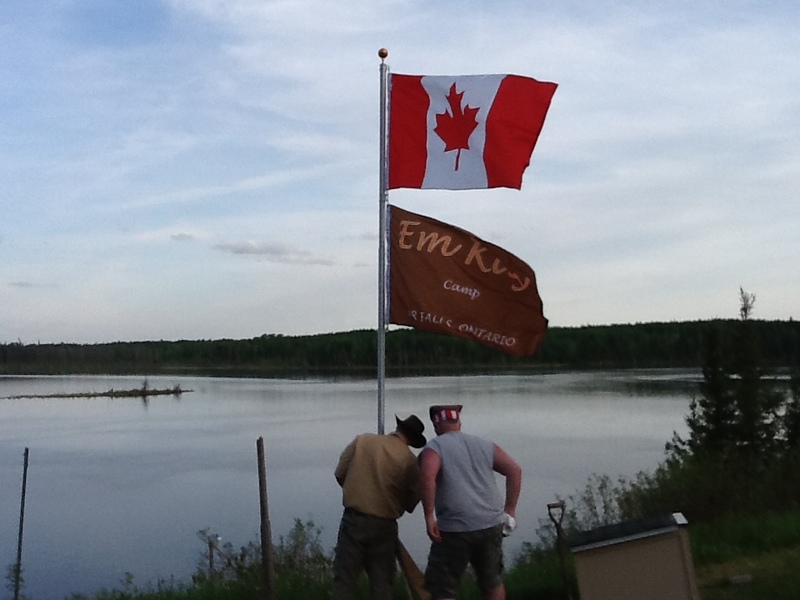 Last but not least, we put up a flag pole to fly the camp flag in memory of my grandmother Alice, who passed away in the fall of 2013. Now for a few pictures of the trip… enjoy! 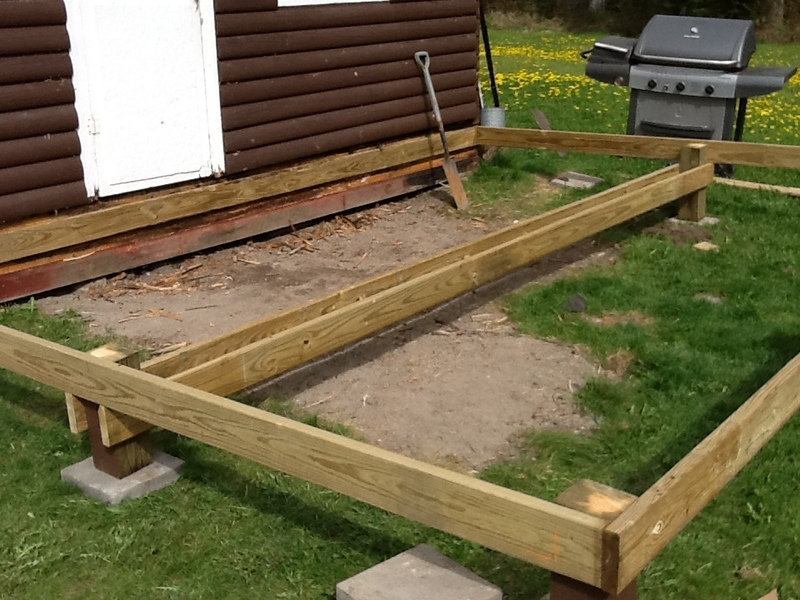 Getting a good start on the new deck. You can see the outline of the old deck. The new deck is more than twice the size of the old one. When seeing it at this stage, I could hardly wait to see it completed!! 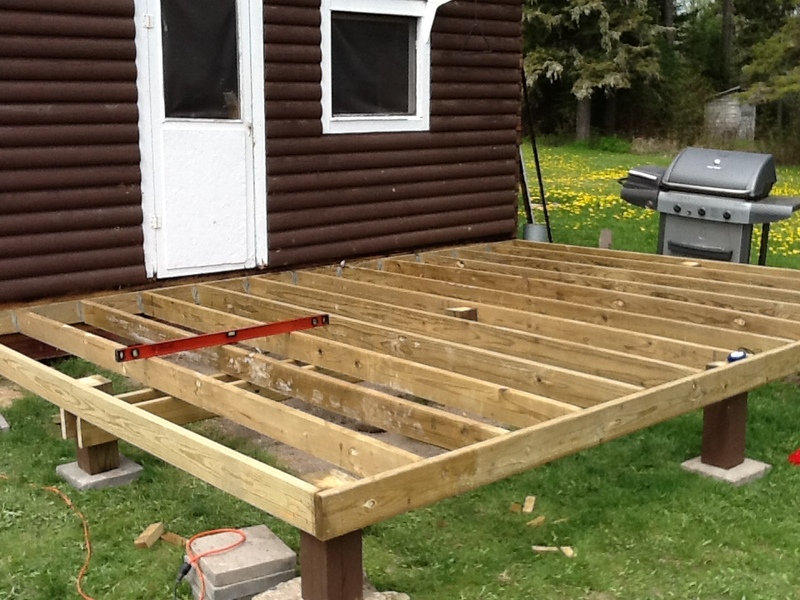 This next picture shows all of the joist’s installed, sure hope everything is level at this point!! 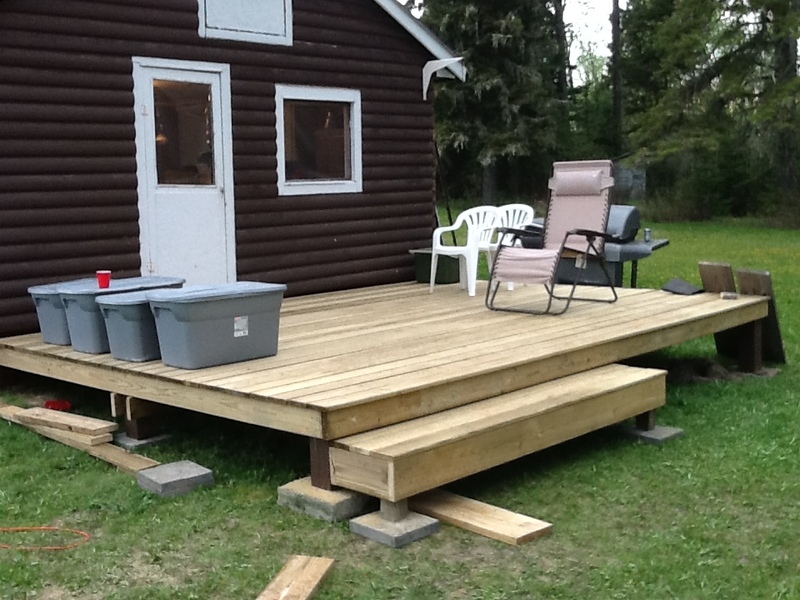 Hey, the new deck is completed! It didn’t take long to begin using the added space to store coolers, totes, and a couple of chairs, so we could sit down and take a load off after a hard day’s work!! It really turned out nice!! 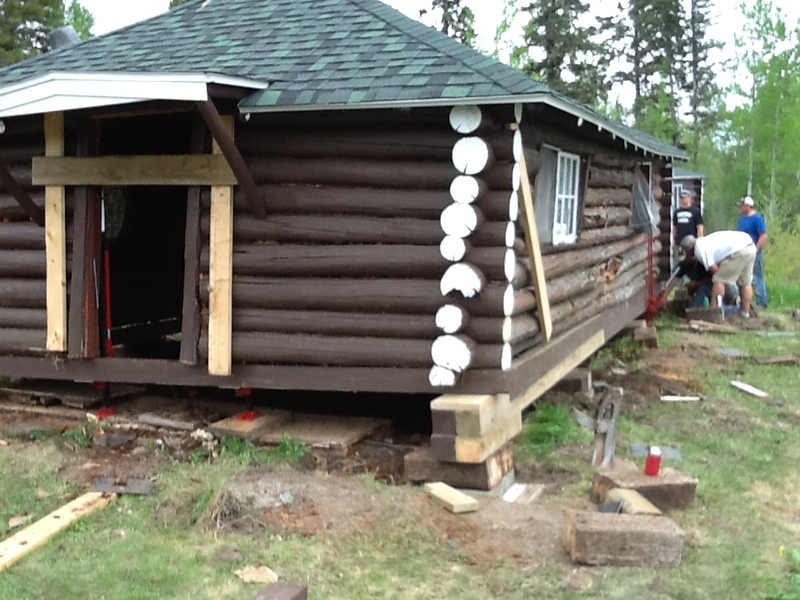 The cabin measures 16′ by 30′ and was sunken into the ground. 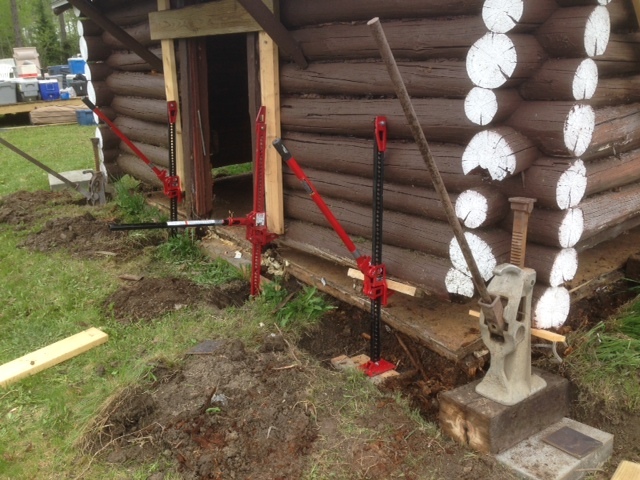 We needed to dig down a foot so we could set the jacks to start the lift. It took railroad jacks on the corners and a dozen handy man jacks to get this ‘ol girl off the ground. Below is a mid-lift view of how many jacks we had on one side of the cabin. It was very helpful to have a few extra handy man (red) jacks for this lift. The lift is over. 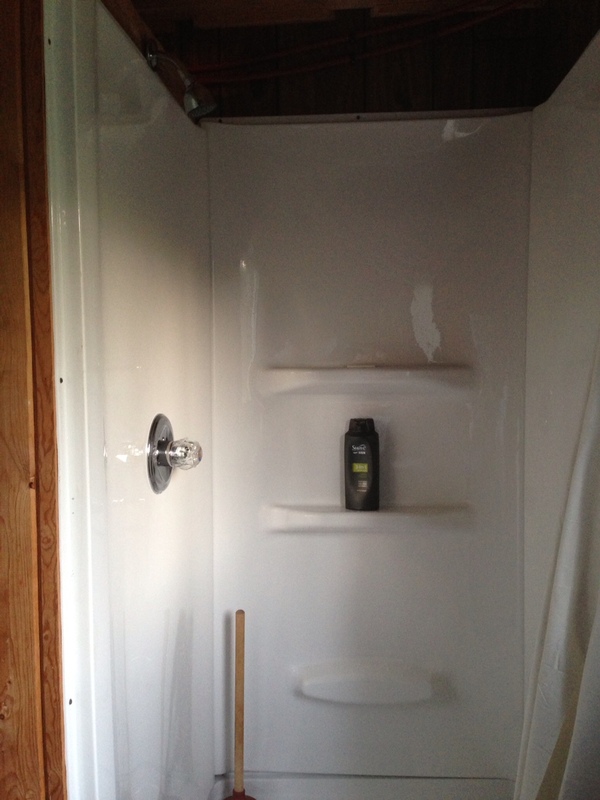 We needed to get the doors on it, but we are close….. 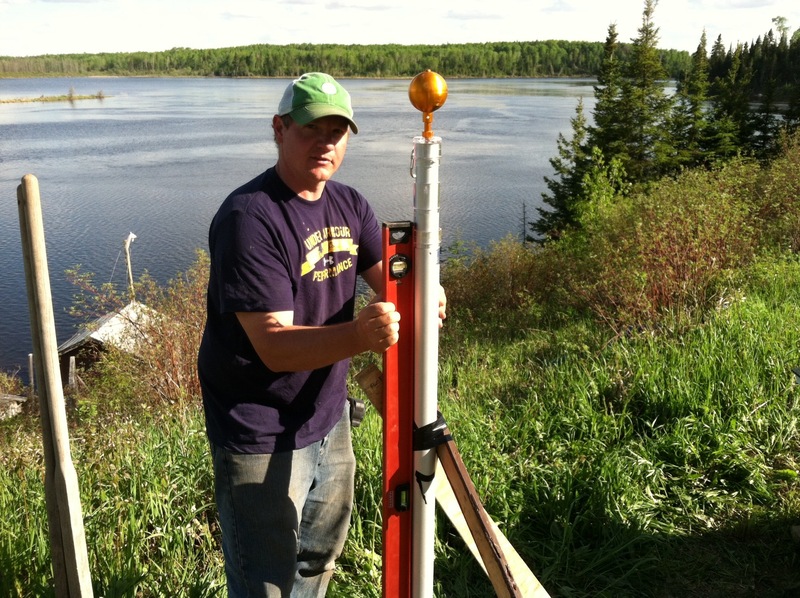 Setting it in place, making sure it is plumb…. The raising of the flags, in memory of Grandma Alice Taylor, what a great moment!!! 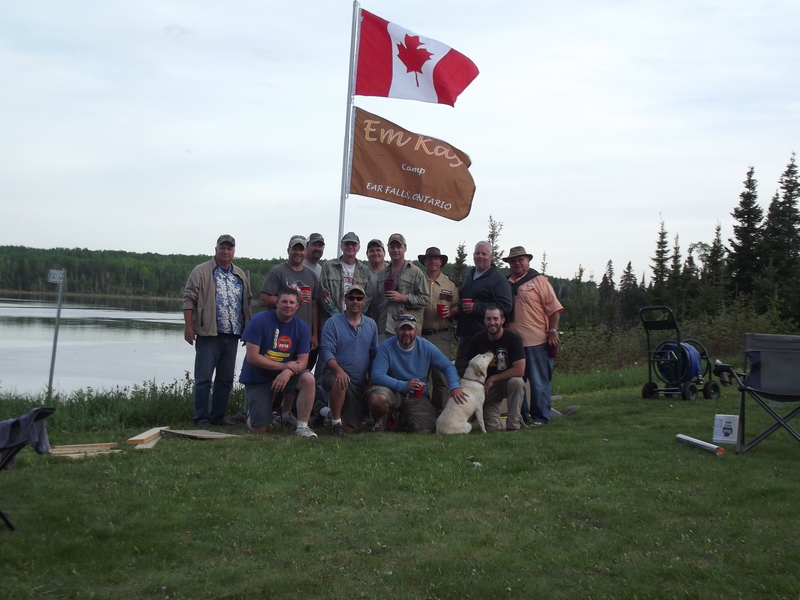 A picture of part of the gang under the newly installed flag pole. A great addition to the camp!! I thought I would end with this panorama shot that my brother took. He was standing on the bluff at the camp one morning looking south. It is a great picture that could be turned into a postcard. 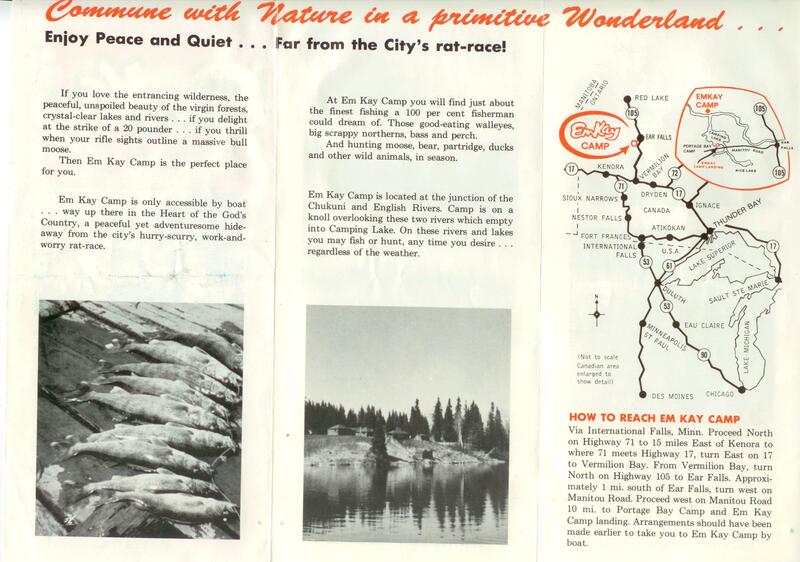 It must have been awesome to hear the north woods come alive that morning. 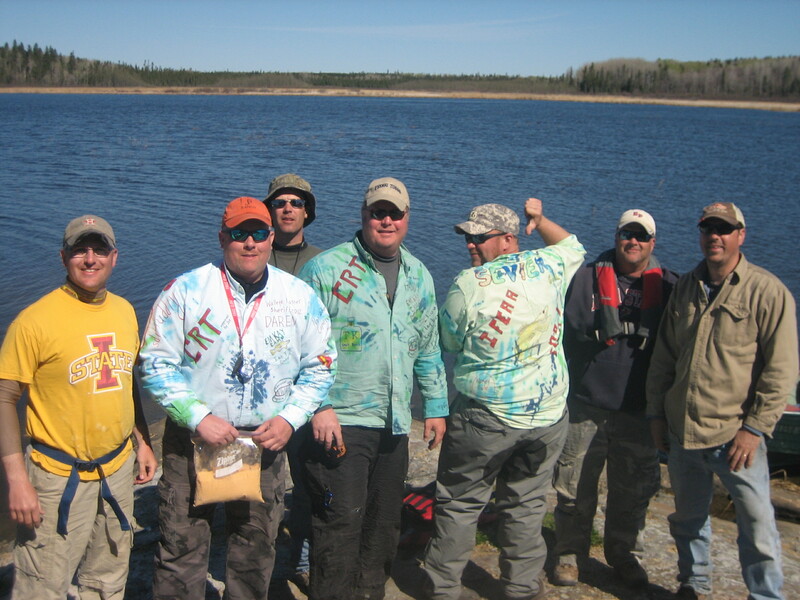 Until next time, keep your rod tip up, line tight, and we’ll see ya up north……. This photo makes me smile! It doesn’t get much better than this! Fresh walleyes pulled out of the lake, filleted, dragged through spices, and cooking in a little peanut oil over a camp fire on an island! Heat up a can of Bush’s baked beans and you have a meal fit for a king!! It’s making me hungry. This photo was taken by friends while we were up North! She made a copy of it, then turned it into a birthday card for my wife. Thanks, Ken and Julie, for sharing this photo with us! Brian hauled in this 15 pound northern on an ultra light rod with 4 pound test. Took him 15-20 minutes to get it to the boat, snapped a few pictures and released the monster back into the water. There was absolutely no wind on Camping Lake the morning this picture was taken. I have never seen the lake this calm before. It looked like glass. Great day, good food, fun with family in the middle of the wilderness!! Looking forward to the 2014 trip boys!!! 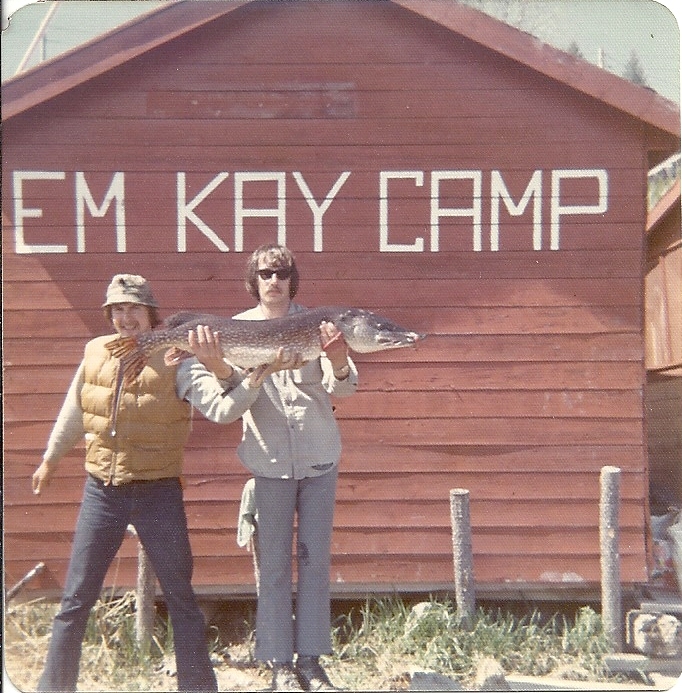 The next camp photo is really old! I’m guessing late 1950’s, early 1960’s. 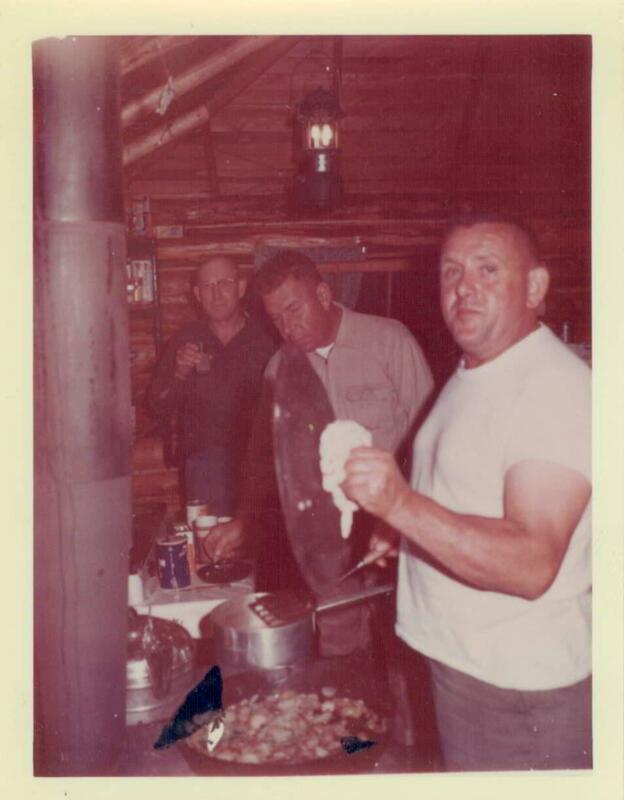 In this one my grandfather Vernon “Ben” Taylor is at the wood stove cooking sliced potato’s. Doc Holland is behind him with Swede Pearson in the background. They are in cabin 5, the shelf behind Swede is still hanging on the wall!! 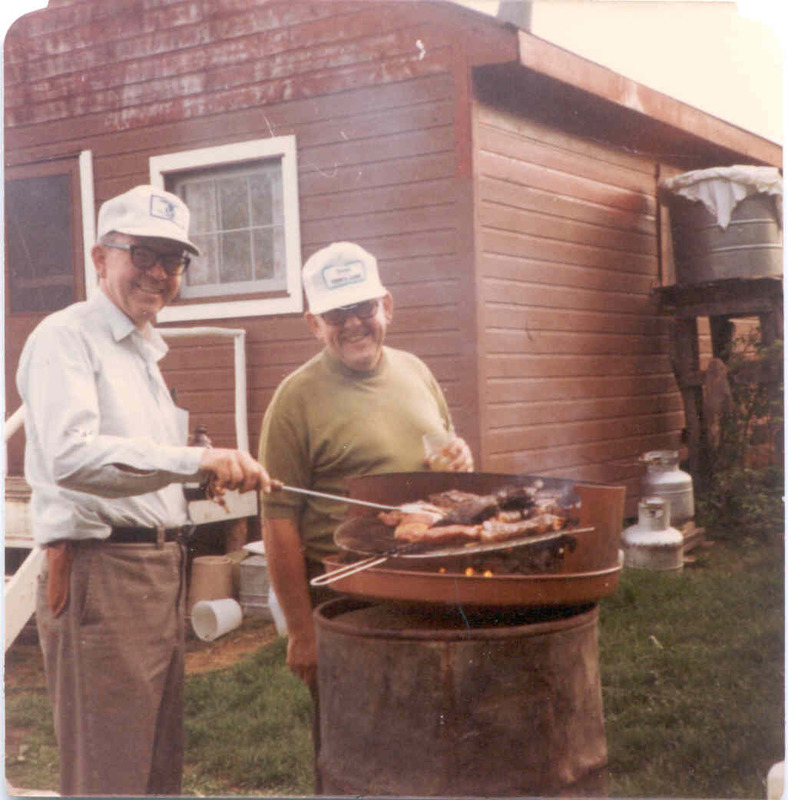 The next photo (1970’s) is showing Grandpa “Ben” on the right with Bud Lesan tending to some meat on the grill and the main lodge as the backdrop. 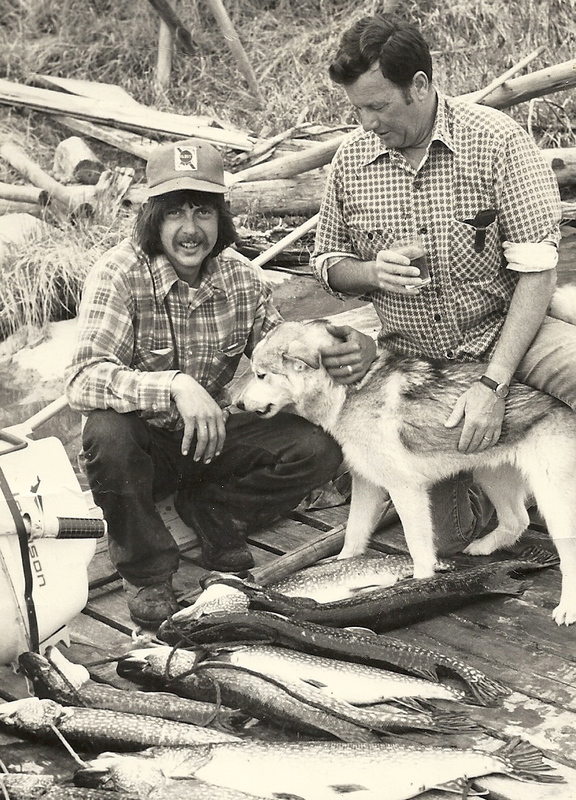 The final picture (mid to late 70’s) is showing Ben Taylor (in hat) crouching in front of a mess of northerns with his hand around his beloved husky “Chinook”. I am old enough to remember uncle Ben owning that dog . Chinook loved to be petted and usually got a lot of attention from folks in the camp. 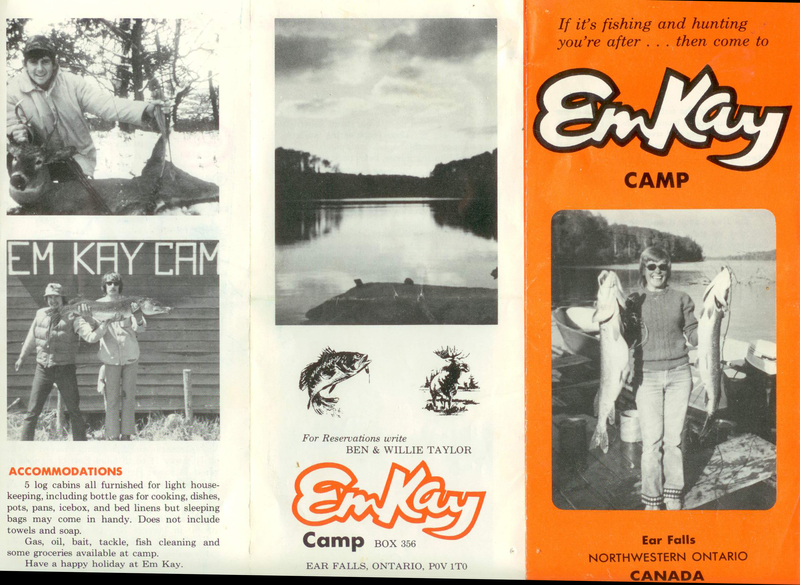 If you have any other classic Em Kay Camp photos, send them on to me to post on the blog.